Sunnin' In the City: Caiden Visits the Pachecos! Caiden loves to visit Katie, Bryan, Christina and Daniel. In fact, he calls Katie "my Katie", so cute. Anyway, while I went to my S factor class, Caiden hung out with the Pacheco's. He was so brave. 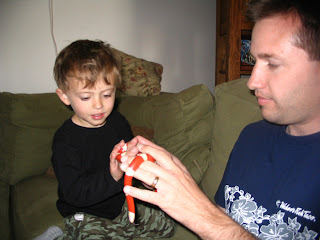 He even pet Candy Cane, their pet snake, although I drew the line at feeding time. 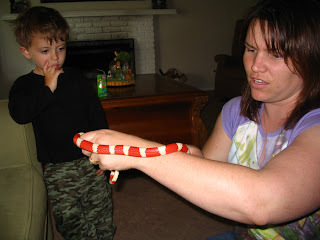 They wanted him to see Candy Cane eat. 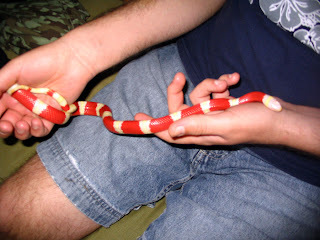 Well, Candy Cane eats live mice, and frankly...I think that is disturbing. I mean, I KNOW that animals must eat other animals, but I don't particularly want to watch it...not to mention, what if Caiden becomes TRAUMATIZED!!! 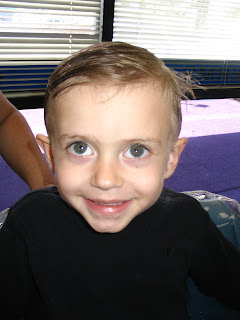 Caiden's hair was getting a little shaggy, so we took him to get his hair cut. He likes his hair cut...why? 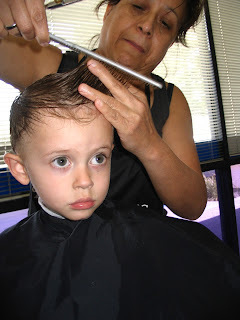 Because he gets his "hair cut and pops"! 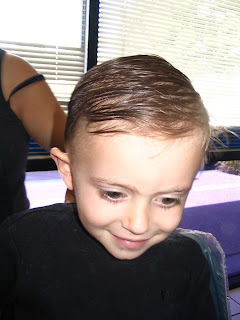 Well, he did SO well, the hairstylist even gave him 2 pops! 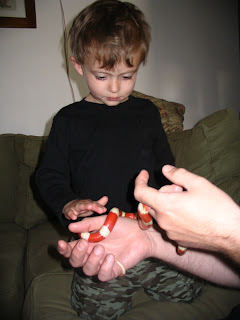 He pet a snake. Wow, he is getting very brave.